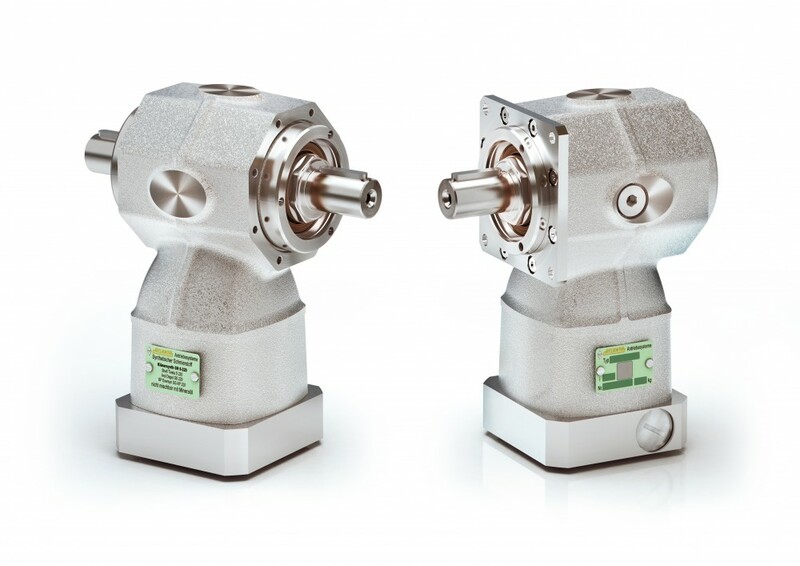 an unmatched gearbox design diversity, with almost all conceivable applications can be implemented optimally. 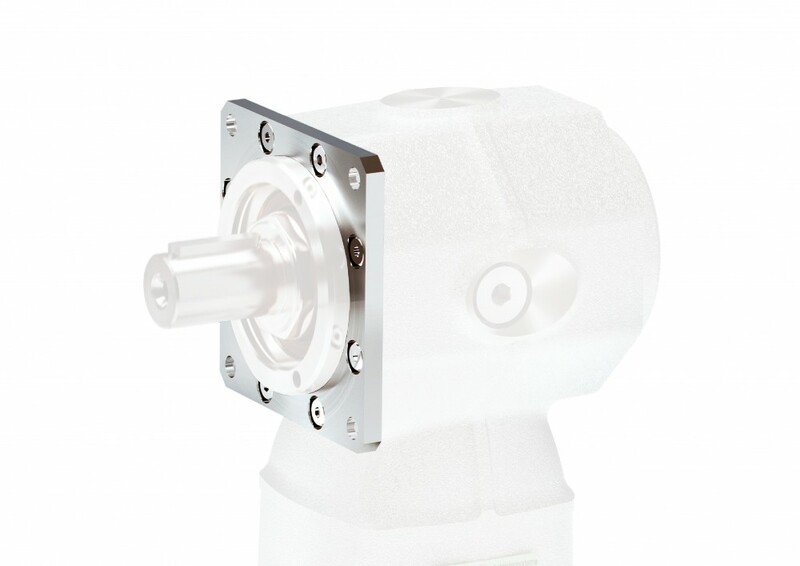 ATLANTA BV Hypoid gearboxes can be run in either direction of rotation. The spiral direction of the gear set and the rotational direction at input side used are key factors determining the forces evolved within the hypoid gearset. In most instances, permissible torque transmission can be maximized by using the gear pairing such that the driving gear rotates in the same direction as the spiraling. This also reduces noise from the gearset by 1-2 dBA due to the fact that the axial forces caused by the spiral meshing push the gears apart. The input drive pinions of the ATLANTA BV hypoid gearbox has a left-handed spiral; accordingly the large gear has a right handed spiral. Depending on the location of the output side using right-handed spiral both directions of rotation can be realized as a preferred direction of rotation. The standard twosided output of the ATLANTA BV hypoid gearbox is symmetrical, thus a possibly disturbing hypoid stowing can be avoided with using the other output side. 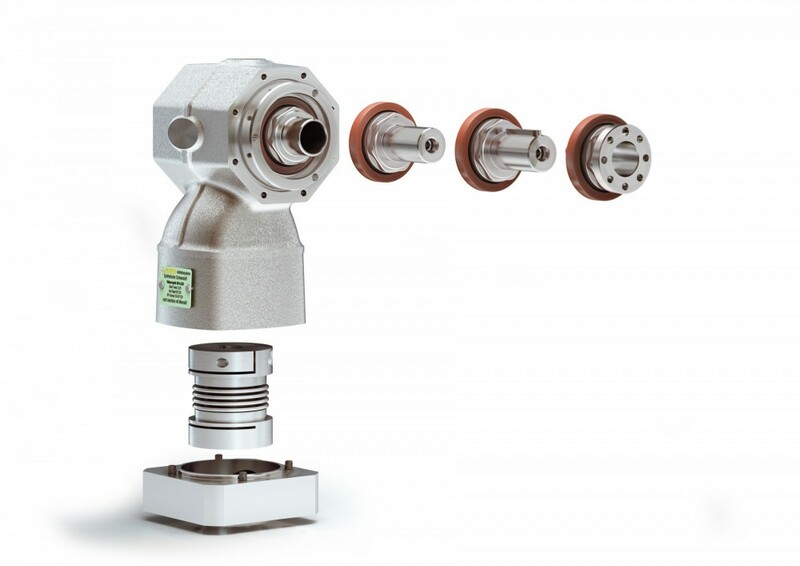 With the flexible mounting surfaces on the two-sided output (Flex Flange), the BV hypoid gearbox can be screwed with eight mounting threads directly in to the machine. 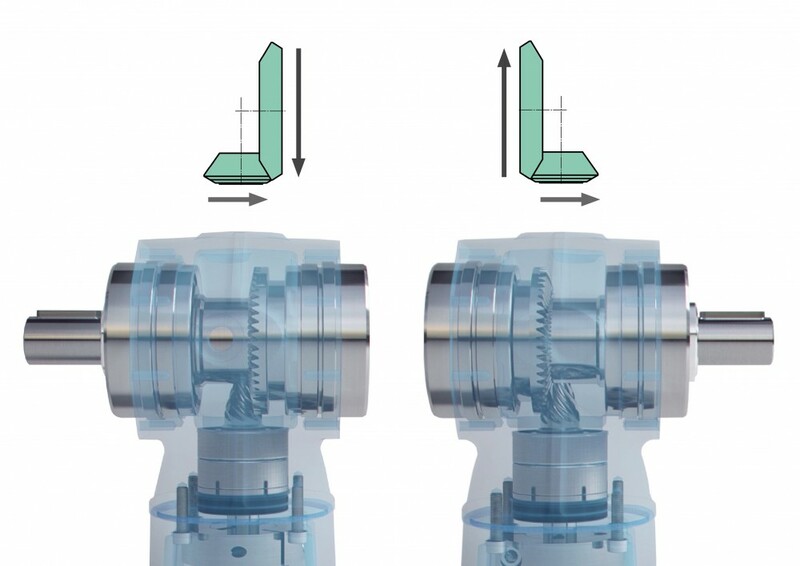 For the mounting with flange with through holes, two installation options per output side are available.